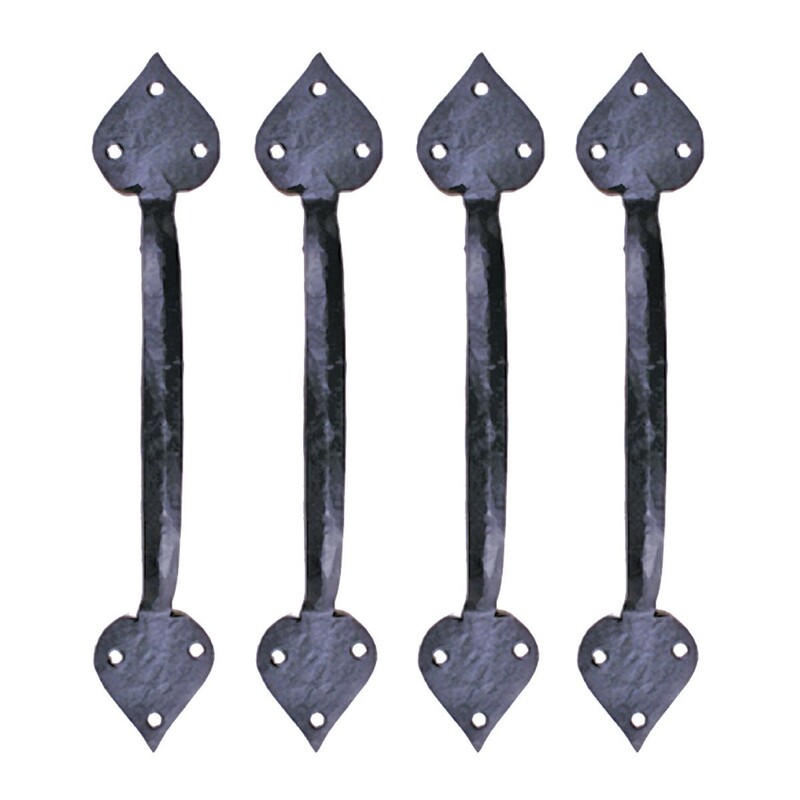 You can easily change and enhance the appearance of your door or gate by adding Wrought Iron Heart Door or Gate Pulls. 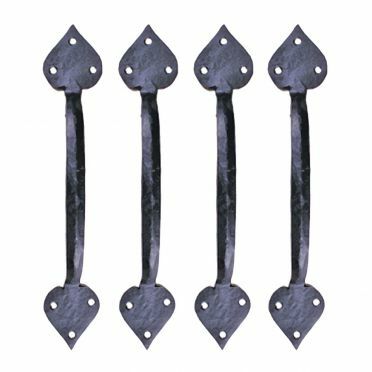 Sold as a set of 4 pulls, they are a beautiful detail for creating an authentic Colonial or Country period-style feel to your home. 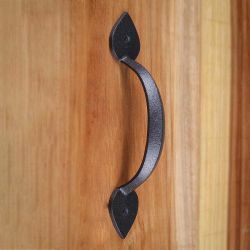 These wrought iron pulls can also used on a pantry door, your oversized kitchen drawers, or to update a piece of your existing furniture. 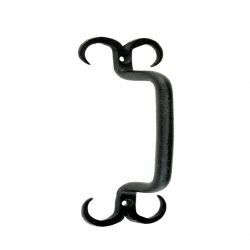 These Wrought Iron Heart Door or Gate Pulls have a protective black coating that will protect your door or gate pulls for many years. Each pull measures 10 inches in height, and has a 2-1/4 inch projection, with the two backplates at either end, measuring 2-1/4 inches in diameter. Sold as a set of 4 pulls, and comes complete with mounting hardware.